The existing headsets will continue to be supported, the company said. 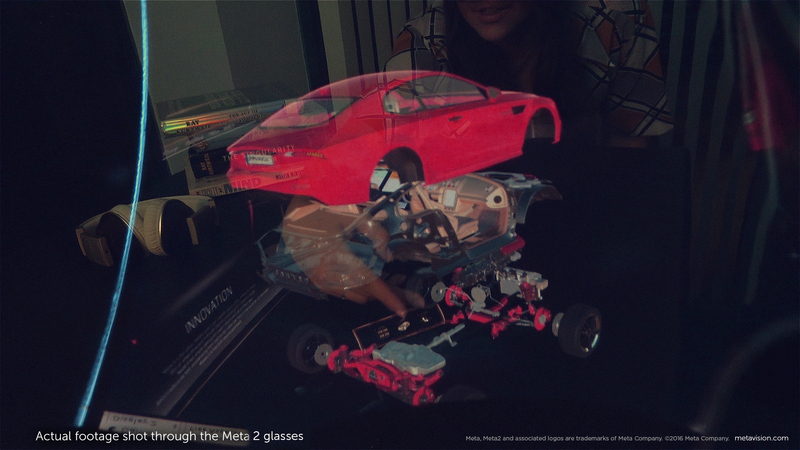 After a promising start, AR startup Meta's assets have been sold to an unknown buyer, reports TechCrunch and other sites. Meta fell on hard times in September after a promised $20 million investment from a Chinese company fell through over trade tensions between the US and China. The company has promised that its current products, mainly its latest Meta 2 AR headset, will continue to be supported. Meta's future looked to be in jeopardy in September 2018. After the investment was cancelled, it was forced to furlough two-thirds of its 100 employees for 30 days, Bloomberg reported. "The Chinese government sent an official request to our lead investor to re-evaluate the deal based on the recent actions from the Trump administration," CEO Meron Gribetz told Bloomberg. "This was a big shock to us." The company was unable to raise additional funds, and on top of that, was fighting a patent infringement suit. Documents from that court battle seen by Upload revealed that "Meta company is insolvent." Gribetz told Upload that "the bank which held our secured debt called the loan and sold the assets in a ... sale to a private investor that doesn't want to be named right now." Despite the company's relatively small size, the Meta 2 is a pretty decent AR headset that Engadget described as "a more complete AR experience compared to the Hololens," thanks to a wider field of view and better comfort. It was hampered by a lack of apps, but the $950 headset was only for sale to developers. At its peak, Meta employed from 130 to 150 workers. At this point, it's unclear whether some of those folks will be retained by the unnamed asset buyer, or if everyone will be laid off. Gribetz put much of the blame on the trade dispute, noting that almost all investment in AR was coming from China. However, the fledgling AR/VR industry as a whole is stagnating and companies like Microsoft are shifting toward enterprise, rather than consumer markets. What's needed are some AR products that will really wow us, like the Hololens 2, rumored to be coming next month.